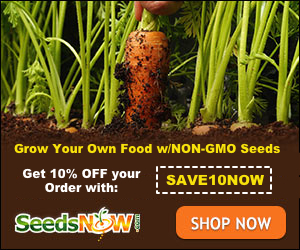 Do you want to continue growing your herbs and vegetables through winter? I do and I use a cold frame to protect plants from winter. Cold frames provide my plants with shelter from cold temperatures, ice, snow and even strong winds. 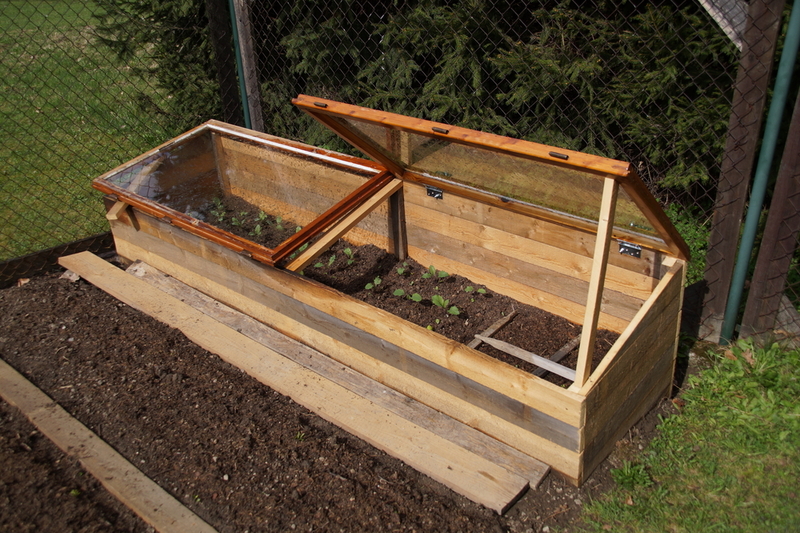 A cold frame is a simple bottomless box with windows facing the sky. It is a smaller version of a greenhouse. Cold frames are built about a foot or two from the ground and are set over a group of plants. A transparent window or roof is on its top to allow light to get to the plants. You can buy a cold frame but you can build your own from leftover wooden pallets, bricks or salvaged window frames. Let me show you how to build a cold frame using wood for the frame and an old window frame for the roof. This box is good for a raised bed and a second level angled cap where you will attach the window frame. If you have a window frame size larger than 24” x 48”, make a box that would fit the window frame. Measure and cut a 48-inch long piece from the cedar plank. Make 3 pieces. Measure and cut an 18-inch long piece from the cedar plank. Make 3 pieces. Measure and cut a 20-inch long piece from the cedar plank. Make 1 piece. Diagonally cut the 20-inch cedar plank form one corner to the other end. These will be the sides that will support the slopping lid. Drill holes on the 48-inch planks for the screws. With pilot drill bit, drill 2 holes at each end of the plank (3 planks). The holes should be 1 inch from the long side and ¾ inch at the short edge. Assemble the box by driving the 4 ½ inch lag screws through the holes attaching them to the 18” planks (3 pieces). This will create a rectangle box. On the back of the second level, measure 1 inch from the top and bottom at each end. Drill holes on the 4 markings ¾ from the tip. Attached the diagonally cut pieces to the back of the second level. A foundation vent will allow air to circulate inside the cold frame when it is warm. It will also keep the heat inside when temperatures are below 400F to prevent plants from having cold snaps. Mark an 8” x 15” horizontal rectangle on the back of the frame. The rectangle should be on the center and 2” from the edge of the cold frame. Cut the rectangle for the foundation vent with a jigsaw. Drill holes for the eye latches and hooks inside the box. The latches will keep the top and bottom levels in place but can be removed when not in use. Attach the hinge screws on the window frame’s corners. Attach the window frame to the cold frame. Insert the foundation vent to the rectangular hole. Place your cold frame in a location facing south. If the south is not possible, look for a suitable location in this order: west, east or north. It is also best to position your cold frame against a wall or any structure from protection during super windy days. A cold frame allows you to start early on your spring planting. This miniature greenhouse can also extend your gardening seasoning. All you need is a box and a window. Building your own cold frame is an easy task. You can buy new planks or recycle old pieces of wood. You can buy a window from a thrift shop or use a one you have kept in your garage. I like to do some gardening even during the winter and a cold frame is extremely important to me. Do you also need a cold frame? Share with us some of your thoughts in the comment section. Is there a picture of what this looks like? Do you have a picture of the finished cold frame that I can see? This would be very helpful. Thank you for the instructions. Wow, this cold frame looks amazing, I want to have one in my garden! Is this a real picture of how it should look? This post was from a guest author – you could contact her to see about that.